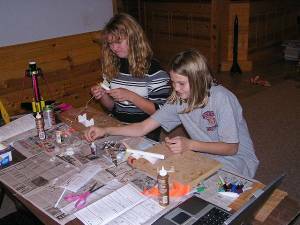 EMRR is happy to present a Youth Participation contest with the hopes that our guests will do something this year to get youths interested in model rocketry. 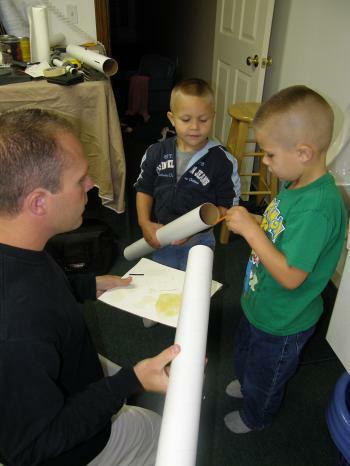 Introduce or reinforcing modeling rocketry with a group (3 or more) of younger ones by building, finishing, and flying rockets with them. This can be sent in text, MS Word, or other format instead of the standard story submission form. Contestants may only enter one (1) entry. All entries must be submitted by 11/1/2008 in order to be accepted. 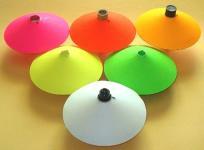 A 12-pack of any Beginners Level bulk pack (Astra shown as example). Also included: 12-pack of motors and a launch pad and controller. A 12 pack of any Skill Level 1 bulk pack (Triskelion shown as example). Also included: 12 catalogs, 12 posters and 12 range box stickers. 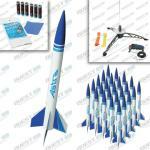 6-Pack of the fun to fly and double-kit MOM (makes a total of 12 rockets). The following is my entry for the Youth Participation contest, although it's not something I just started because of the contest. 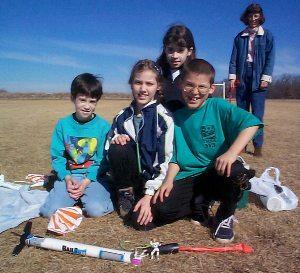 It all started in 2001 when my brother brought a model rocket to our family land where a group of us were camping just to fly it and provide a little entertainment for the kids along with introducing the group of them to the hobby. 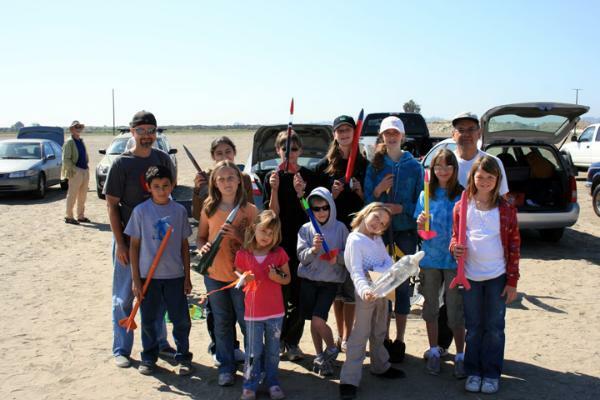 Now, 8 years later, we just wrapped up our seventh official Rocketfest where 37 rockets were in the competition and there were over fifty launches. 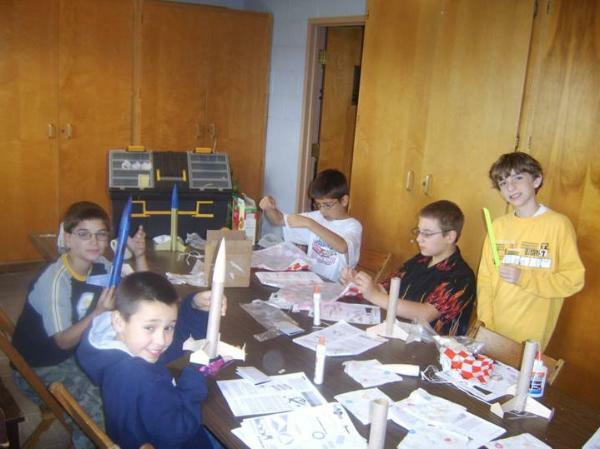 Out of those 37 rockets, 14 were designed and built by kids' ages 2 to 17 years old! Over the years, I've participated in my fair share of the typical build/fly, where a few BAR's get in front of a group of scouts, church group, school kids, etc. 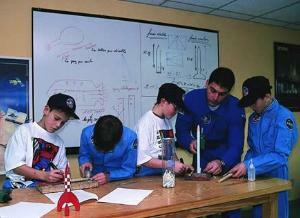 and lead them through construction and flight of a model rocket. I've also worked with a number of TARC teams getting into more complex designs and flight objectives. I've managed to work with just about every imaginable group of kids out there, except that in the 12 years my wife has been a school teacher, I have never worked with her kids. With the EMRR Youth Participation Contest, coupled with an upcoming job change that would make it much more difficult to break away during the school day, it seemed as though fate was telling me it's about time to bring rocketry into the wife's classroom. 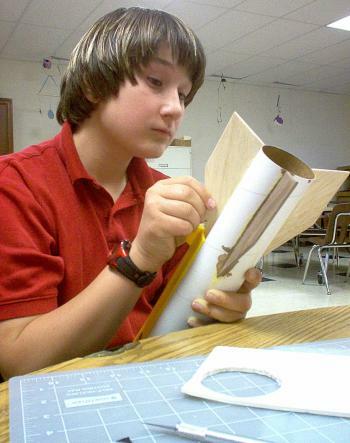 For some time I have had the urge to direct a 'build and launch' session with a group of kids and the final impetus was Stephen Lubliner's article in May/June, 2008 issue of N.A.R. 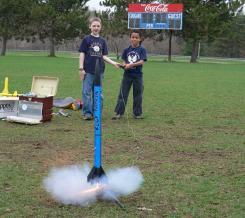 's Sport Rocketry. The article really inspired and excited me and I approached my daughter's 6th grade science teacher, John Benvenuti, about hosting one at the school. John had no experience with model rockets and had not done anything like this before, nor had the school (nor I for that matter!). But he and the principal, Liz Perry, were very excited about it and gave me the go-ahead. 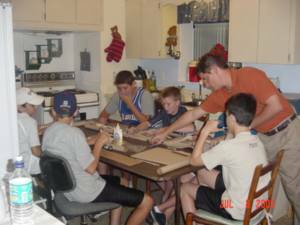 Several years ago when my two boys were old enough to join Cub Scouts, we signed them up and over the next couple years I was gradually drafted to do more and more within the Cub Pack until the den leader for my boys was promoted at his place of employment and could no longer be involved in scouting. At that time I was convinced to become the den leader because our children were the only ones in their den and there were no other adult volunteers. Two years ago, our little den had grown to four or five boys. 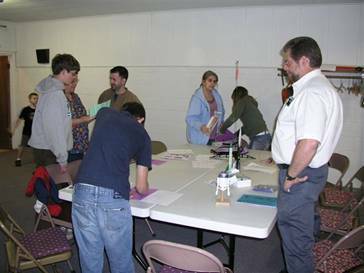 My NAR section, NARScouts, was formed specifically for the purpose of education youth in all things related to space sciences and rocketry. In fact, 95% of my flying revolves around youth education. This wasn't an intentional choice. It just turned out that way. For my club and myself, youth events are the norm. It is what we do. Our equipment, supplies, displays, and material has all been acquired to enhance our program. So what makes this event special? Why are we even considering it? What on earth would possess us to take on this day? 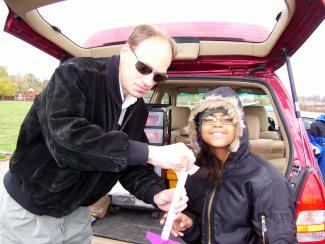 I was pleased with the 2008 challenge having a section on getting children involved with rocketry. 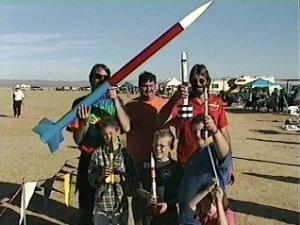 I myself did not get into rocketry until I was in my twenties. Rocketry is not big in the UK and I had never seen a model rocket, despite regularly visiting model shops. 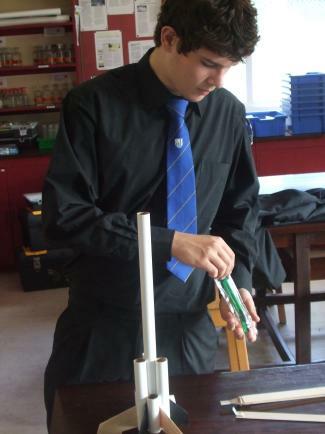 My first taste of rocketry was as a teaching aid to a group of A level student studying gas laws: it was a zinc sulphur rocket made out of a biro pen and margarine tube fins. 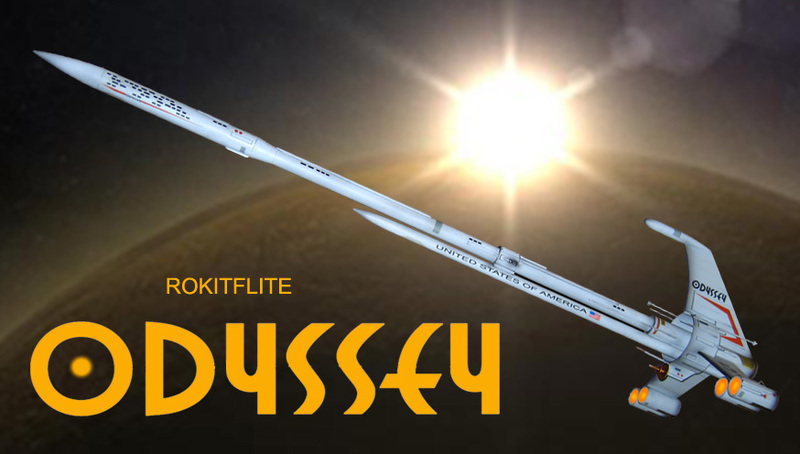 It flew really well - I had several, some of them exploded on the pad (launched the rockets from behind safety screens) and the pupils really enjoyed them, even if the teaching points were lost on them. A friend and coworker is a leader in his communitys 4H club. He asked if I would be willing to help them do rockets again. I had helped them 4 years earlier, they did a year where I was just too busy with overtime to help, and then they skipped the activity for a year. I quickly agreed  but I have to admit, I then had to question my decision. This is my youth participation contest submission. Although throughout the year I typically participate in a number of youth outreach programs none of these completely met the requirements of education, building, and flying. Based on this I decide to organize "King Rocket Day". Well "King Rocket Day" has turned into "Days". My most recent foray into this area was teaching the Space Exploration Merit Badge to my local Scout troop. 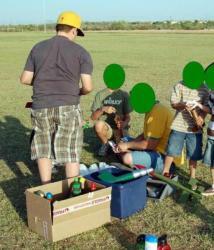 We spent three troop meetings on the badge: 1) doing the book work and beginning construction on the rockets, 2) completing and finishing the rockets, and 3) launching the rockets. 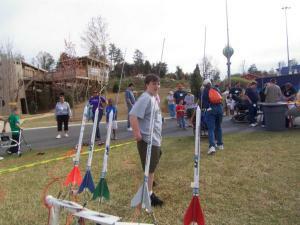 Aerospace Industries Association (AIA) and the National Association of Rocketry (NAR) sponsor the Team America Rocketry Challenge. The Challenge is for 7th to 12th graders to design, build, and fly a rocket carrying eggs for a precise time and reaching a precise altitude. Qualification Scores are submitted in April, and Cheyenne Mountain has competed for a share of $60,000 at the National Finals in The Plains, Virginia two of the last three years. 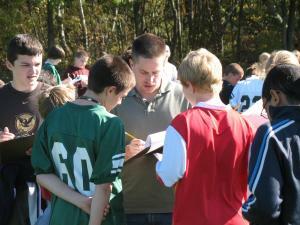 We compete against approximately 750 teams across the United States.